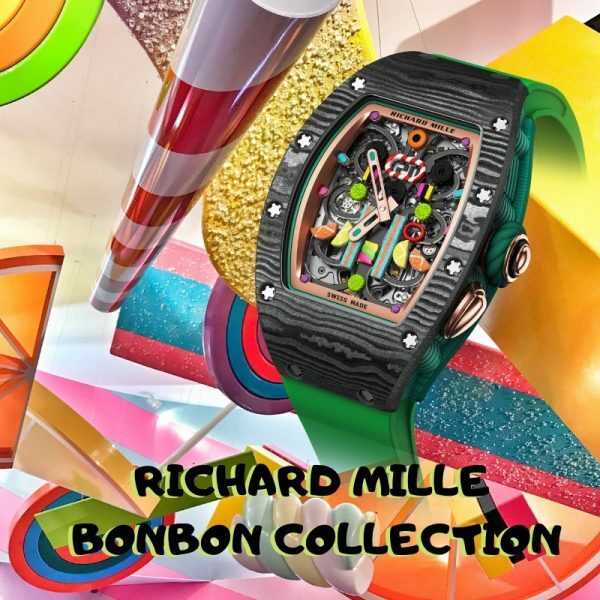 Richard Mille has bitten into a juicy new realm of graphic, emotional and chromatic expression. The so-called Bonbon Collection comprises 10 models, each produced in an edition of 30 pieces. 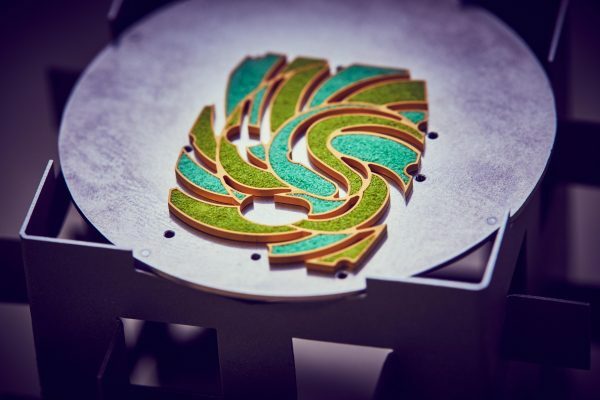 Together, they articulate a sweet and tangy new vision of watchmaking. Composed of candies, pastries and fruit, these 10 horological treats once again subvert existing conventions, habits and expectations. 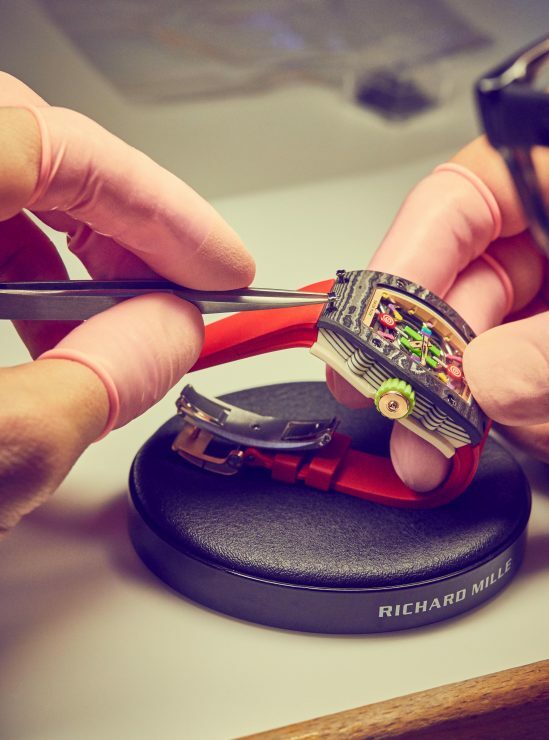 Drawing on avowed expertise in the area of materials, colour and form, Richard Mille has taken the lid off a candy jar to reveal two kinds of confections for the wrist. Based on three of the brand’s iconic models, the RM 07-03, RM 16-01 and RM 37-01 offer a passage back to childhood with the simple pleasure of slightly regressive and thoroughly tasty memories, to be enjoyed without moderation. ‘The idea was to revisit the existing collections while playing with colour. This allowed me to bring out a pop-inspired sense of fun. In all, we developed a palette of 60 colours for this unisex collection,’ explained Cécile Guenat, artistic director for the collection. Despite its disruptive appearance, the Richard Mille Bonbon Collection is directly descended from earlier Richard Mille creations. Take colour—the brand is continuously expanding its range. 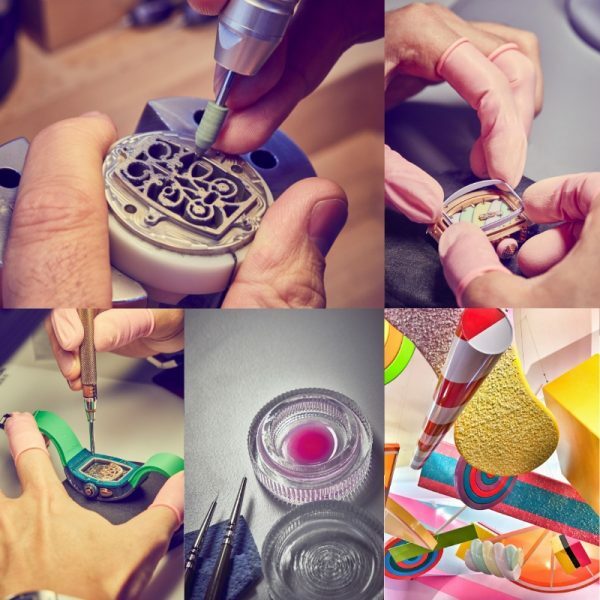 Forays into the spectrum of greens, crimson, yellow and even pink are possible thanks to a mastery of materials, many of them exclusive, that is a Richard Mille specialty. The brand’s understanding of how tinted ceramics behave, expertise in layering materials like Carbon TPT® and Quartz TPT® and constant improvements to the setting of coloured gemstones are all ingredients in these confectionary recipes, which are singularly imaginative, playful, distinctive and, most importantly, appetising. Lastly, a finely honed eye for detail makes these 10 models stunning graphic compositions that offer a wealth of shades and textures appearing in every component of the watch. The crowns and some of the caseband, for instance, take the shape of a particular treat, such as a cupcake or gelato. The Sweets collection comprises four models, all with two-tone ceramic cases that set off their grand feu enamel or black-chromed titanium confections. The RM 07-03 Cupcake, RM 07-03 Marshmallow, RM 37-01 Sucette and RM 16-01 Réglisse are colourful and delectable, evoking a whole spectrum of flavours. Better yet, the textures you expect to encounter upon biting into these sweets are conjured visually thanks to a mastery of enamelwork that succeeds in evoking sensations like softness, crunchiness, and fluffiness. The creamy quality of the TZP ceramic case is enhanced by the varied matt and polished effects of elements on the dial. Black, a foundational colour in the technical vocabulary of Richard Mille, is presented in a whole new light here, as a giant roll of liquorice that occupies the entire surface of a dial. Here, the most satisfactory solution for obtaining the liquorice shape of the RM 16-01 was a stamping operation, followed by a black chrome coating that lends this piece its spot-on colour and texture. The Fruit line is a homage to the very concept of sweet temptation in six delectable flavours: Lemon and Strawberry (RM 16-01 Citron et Fraise), Blueberry and Litchi (RM 07-03 Myrtille et Litchi), Kiwi and Cherry (RM 37-01 Kiwi et Cerise). In addition to colour-gradient cases made of Carbon TPT® combined with Quartz TPT® of a different hue for each model is an all-new turquoise colour. Painted in acrylics and lacquered by hand, the 3,000 miniature sculptures integrated in these compositions stand out from the dials, turning each one into a sachet full of tiny candies. To further enhance their realism, a ‘sugar coating’ effect was achieved using powdered enamel and the fine sand employed in hourglasses. 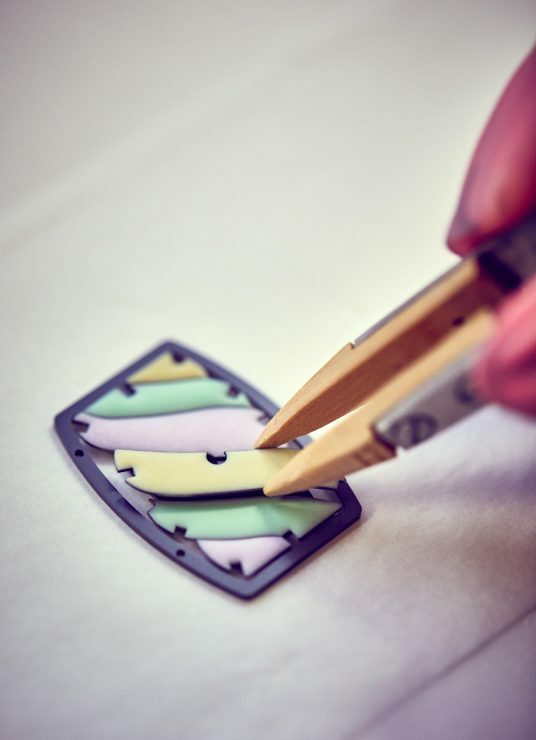 Tart jelly ribbons, twisty lollipops, candy citrus segments, gumdrops and other surprises are positioned on plates of grade 5 titanium that are machined and skeletonised like horological components. From velvety marshmallow or custard cream to the crunch of hard candies and lollipops and tangy tartness of citrus quarters… Applying the science of materials and textures to the realm of confectionary, Richard Mille has embarked on a vast collection of delicious and powerfully evocative pieces. Whether in the Sweet or Fruit line, every watch in the Bonbon Collection is mouth-wateringly appetising, and promises a moment of horological extasy.